This is instruction about how to make use of character and paragraph styles in Scribus. They are basically templates for text formatting. With them, you can make complex structures of text such as article layouts in a magazine. And with them, you have absolute control to modify them by one-click-for-all method. 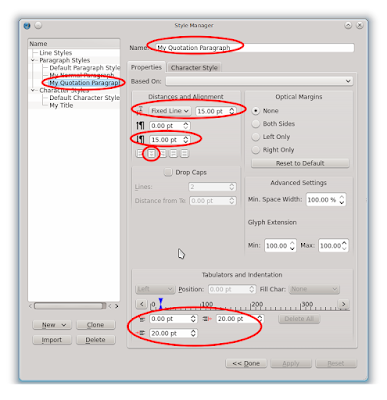 Imagine of using design templates in vector editor about how helpful they are. Character style is template for character. It contains font formatting, font color, horizontal scaling, vertical scaling, and baseline offset. It is suitable for title, a stand alone single character, and any text which contains just 1 line. Paragraph style is template for paragraph. It contains formatting for line spacing, alignment, tabulator/indentation, optical margins, minimum space width, and plus Character Style. It is suitable for text contents, story, articles, and any text which contains newline spaces. Without Styles: type text, open Properties (F2), format bold here and there, type again, format italic there, change earlier text, format line spacing then. Something happens, reformat every single thing. Messed up. With Styles: set a style > type whole text > select one style. Change some text > select one style. Example for character style is text formatting for titles. If you set up title (for articles) in every pages of a magazine with a same style, then you just need to change the style to change the whole document titles. 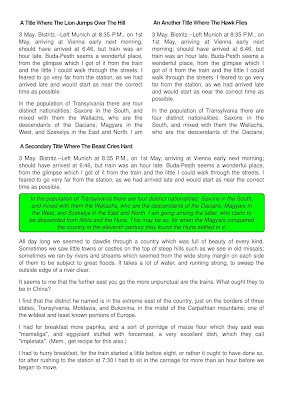 Example for paragraph style is text formatting for normal paragraph and a special command line paragraph. Both have their own style. This is an example. 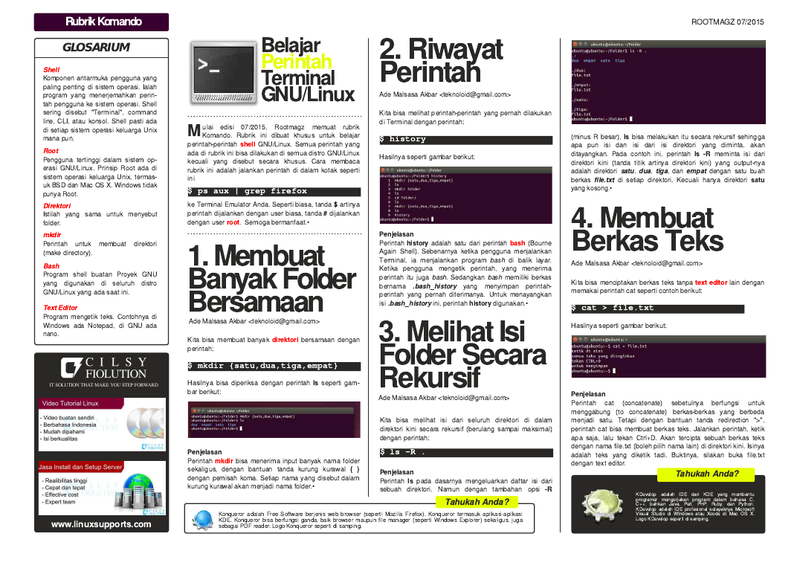 Note: this Indonesian page example created also with Scribus. Open menu Edit > Styles (F3) > click New > click Character Style > name it My Title > give it properties font FreeSans 60pt Bold Black > press Apply. This will be your title template. Open menu Edit > Styles (F3) > click New > click Paragraph Style > name it My Normal Paragraph. In the Properties tab, give it Fixed Line: 15pt then Space Below: 10pt then Align: Justified. In the Character Style tab, give font FreeSans 12pt Medium Black > press Apply. Create one more, name it My Quotation Paragraph. In the Properties tab, give Fixed Line value 30pt then Align Left then Indentation from the left/right: 20pt, first line of the paragraph: 0pt. At the Character Style tab, give it Oblique (Italic) font property. Create some text frames as titles. Suppose these text as article titles in a magazine. Open Properties (F2) > Text > Styles > character style > My Title. Create some text frames. You can use Insert > Sample Text to create automatic dummy text. Open Properties (F2) > Text > Style Settings > Paragraph Style: My Normal Paragraph. 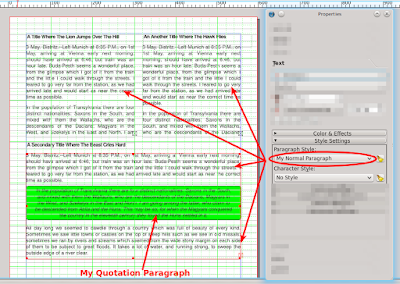 You can choose one whole text frame or one paragraph inside a text frame, choose Paragraph Style: My Quotation Paragraph. This is the export result. Green box in the middle is just a box shape with green color, sent into the background.